Happy October all! We are now officially heading into Autumn and Winter. The nights draw closer, days seem shorter, and our focus is on harvesting all that we have worked so hard on this year. I love this time of year! We celebrate Halloween, or Samhain, which is the Pagan New Year this month. We also turn the clocks back one hour around this time too. UK’s Daylight Savings is on October 29th, the US’s is November 5th and October 1st for Australia. Astrologically, we have Jupiter making his year-long exit from relationship sign Libra into the more emotionally intense sign of Scorpio for the next year. This means that it will be time to make some choices, some of which won’t be easy. We will see that which is hidden coming to the surface. It will be a good month for focusing on projects that need some deep concentration. Let’s see what tricks and treats I have for you this month! 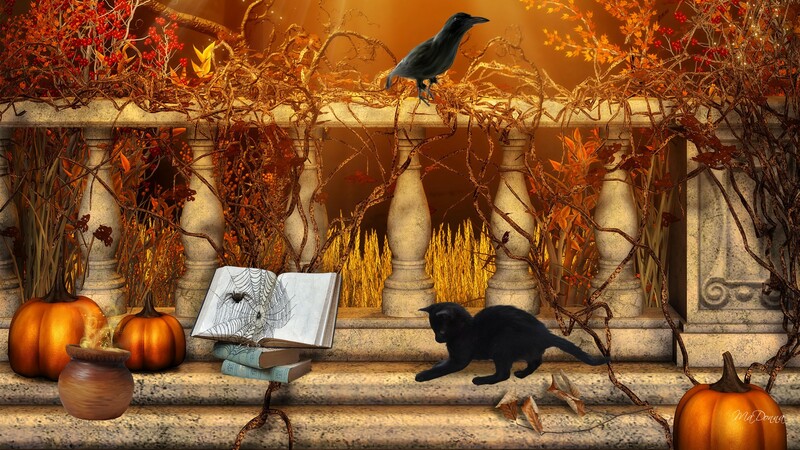 I have our favourite Samhain New Year reading and the Trick or Treat reading. The Afterlife Communication reading is a good way to connect with our ancestors as the veil lifts this month. All of these can be found in the Monthly Specials section along with a few other inspirational readings to help bring balance into your life, such as the Spiritual Journey and the Fool’s Journey readings for those who are looking to start off in a new direction. So be sure to stop by and have a look at this month’s Specials! You can have a browse through the many specialized readings I offer on the Tarot Readings page. Tarot’s Life Path & Personal Growth section is a good place to start! Or take a wander through the various Oracle readings on my site, like Rune, Angel, Faery and Animal Totem readings. All of these categories can be found on the main Reading Room page. 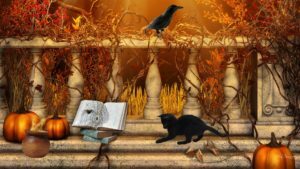 Don’t forget to check out the other areas on the Readings page, like the Oracles, Rune and Animal Medicine Cardssections. Congratulations to you both! I’ll be sending you two an email to tell you how to claim your prize shortly! For those who haven’t entered the raffle yet, each month I select 2 random people from entries submitted to win a reading of your choice worth up to £15.00 from any area of my site. For more details, and to enter October’s raffle, stop by and visit the Raffle Entry page! Good luck! Happy Sunday all! well, here we are at the last week of September and getting into the full swing of the harvest season, with Halloween just a few weeks away. Hard to believe we are in the last quarter of 2017 already. October looks like an interesting month, with hidden things rising to the surface. But I’ll write more on that when we get into October. For today, we still have that private Scorpio Moon energy in play and the day is best for doing simple tasks. Let’s take a look at how this last week will wrap up or us. Monday brings us an enthusiastic Sagittarius Moon starting just before dawn, bringing some peace and stability. We tend to become a bit more orderly and calm, are ready to follow routines and rules and have a need for giving and receiving advice and recommendations. We may find a increase in our interests in social life and where we fit in. However, we do have a challenging square taking place between mental Mercury and patient Saturn, making the start of the day feel sluggish for a while. When action planet Mars meets serious Saturn, it brings a time when we face obstacles, blockages, or opposition to our sense of freedom, our drive, and our ambitions. Excessive or wasteful endeavours and personality traits may need to be tempered now, and we may become more cautious or feel a temporary loss of enthusiasm, or even face setbacks that make us doubt our ability to win in life. It creates a sense of friction that can cause us to feel frustrated, conflicted, stressed out, and argumentative. We are not entirely without power under this transit however! We can put some of that friction to use in productive ways. It allows us to manifest our goals, desire, and energy in a more concrete way. The obstacles we face now can work to strengthen us if we choose to work with them rather than struggle against them. We may even find that the detour we have been forced to take works out much better in the end than our original planed route. Tuesday is a quiet one in the skies but Wednesday sees the Moon go Void of Course at noon, and then move into Capricorn in the early evening. The Moon is in Capricorn when we begin our morning. In Capricorn our emotional charge seems to decrease as our feelings of duty and responsibility move to the fore. We tend to become more practical and logical, as well as more demanding and less sensitive to others and ourselves. We also have an opposition between Mercury and Chiron, where we may find that misunderstandings in our communications that occur can often stem from taking things too personally. It can be hard to read the intention behind the words used to communicate. Doubting our ability to make a clear cut decision can come from a feeling that opposing viewpoints hold the same weight, thus causing us an inability to choose sides. There can be a sense of shooting ourselves in the foot when we present our ideas or opinions, and a feeling of misrepresenting ourselves when we communicate can figure strongly now. The best way to deal with these types of scenarios is to make sure we take the time to think about what it is we wish to communicate beforehand, don’t over think things and stick to what you feel is right in our heart. Lastly, we have an opposition between Jupiter and Uranus, a transit that greatly increases our need for excitement and personal freedom. We tend to feel a strong urge to rebel or react against anything that we feel is blocking us from having fun and doing the things we want. There is a tendency under this transit to want to renew and start fresh. The problem here is that the more extreme the change is that we encounter, the harder it can be for us and those around us to adjust. If its boredom that we are looking to alleviate, the best way forward is to find creative ways to relieve it that won’t cause us disruption or chaos. While this can technically be a challenging transit, the upside is that we can gain some satisfaction from the stress and tension release that comes with it. Thursday brings an opposition between Jupiter and Saturn, a transit where we may find that some re-structuring of our life and our business goals is in order. It is a good time to breathe new life into old plans rather than to strike out with a new plan altogether. Some caution is in order regarding our finances, although we might find that we are able to get some help from older or more stable individuals at this time. Something is telling us to push forward and to expand and grow, but with a close eye on our limitations. Take steps to grow, but don’t overextend yourself at this time or you are bound to face frustrations. This is also the day that Pluto turns direct after its long retrograde period. During any Pluto transit we tend to feel pressured to release or eliminate the old, obsolete, and outdated things in our lives. While Pluto was transiting retrograde, we felt a stronger urge to let go of attitudes, communication or thinking patterns, rigid emotions…mainly a time to undergo a bit of internal house cleaning. The forward movement of Pluto brings our suppressed desires to the surface once more, permitting us to see our innermost secrets in the light of day. We get to see where we can now make changes, having released whatever may have been holding us back, or at least being able to see what those issues were. This transit can bring potential for change through some extreme situations now both inward and in the world around us as Pluto starts to shift forward. Friday sees Mercury moving into Libra. Messenger Mercury can see both sides of any situation in fair-minded and balancing Libra. Our thinking benefits from the refined clarity and communication skills of Mercury, inviting new connections to be made. However, it can be all too easy to be indecisive or do a bit of fence sitting because of that ability to see both sides of a situations. Try bouncing ideas and thoughts off of others in order to get some feedback. We also have an opposition between Venus and Neptune, which can be a tricky transit where happiness becomes an addiction. we have this tendency under this transit to see what we want to see and to gloss over those points, details and flaws that are more realistic in order to gain instant gratification. We need to be especially careful when dealing with others because some may feel inclined to sacrifice their own needs now, or to compromise their position more than necessary. This is a time where it’s important to hold off on making any big, important purchases, as well as starting a new relationship until that rose coloured veil lifts. Also, try to avoid legal, financial, and social involvements, contracts, or formal agreements under this dreamy influence. Saturday starts off with a Void of Course Moon in the wee hours of the morning, before it moves into Aquarius just before dawn. When the Moon is in Aquarius it brings us feelings of openness with a sense of inner freedom. Our emotions become more alive and we feel we can express them more freely. What we can’t cope with are limitations being imposed upon us or pressure from others because our main focus is on our inner feelings of independence. We tend to have a sense of emotional coolness or detachment at the personal level, combined with an emphasis on idealism: such is the nature of the cycle we are now entering. We have a tendency to allow ourselves more freedom. Sunday starts the first day of our new month and it kicks off with a trine between Mars and Pluto. Under this transit we may feel a stronger urge to embrace and engage our power, act on our deep impulses and assert our desires. Sexual energy tends to be quite high at this time too. It brings a feeling that nothing can stop us or hold us back, and our ability to create change and take action at this time is very strong. For those who have been preparing to put some plans into action, this transit is a powerful time to do so. Just be careful that you don’t overstep your boundaries. Happy Sunday everyone! we are at the halfway mark of this month with autumn weather kicking into gear. This is usually a time for harvesting, so take a look at what has grown in your life to see if its ready to be harvested and used, or still needs a bit of nurturing. Today has a playful energy to it, so keep the day and its activities light and easy. Now, let’s see what the week has in store for us. Monday sees the Moon moving into Virgo, and it’s that dark before the New Moon time, meant for tending to all of those little details of our lives. In Virgo, people tend to become more rational and practical. Its the small details that seem to be more important to us now, in some cases more than they are in reality, which can lead to arguments over what seems like insignificant little things. We do become more disciplined and responsible, careful and diligent, but only with those small details. Its not a good time for making any large, risky or important decisions now because we tend to not be tapped into our intuition enough to foresee what the consequences of the future will be. Tuesday sees the planet of love and money joining the Sun and Moon in Virgo, where she will remain for the next 3 weeks. Love takes a practical turn as Venus moves into earthy Virgo. Be careful though, because relationships could suffer from nitpicking and self-worth may be diminished by being overly critical. However, this transit also represents opportunities to make the minor adjustments needed to put partnerships on a more productive track and to develop talents that increase one’s economic value. This is a cycle that calls you to purify and get more efficient. We also have an opposition between the Sun and Chiron, where we tend to feel a challenge between our sense of personal purpose and those visions of possibilities that go beyond our sense of self. We can experience the effects in several areas of our life, such as our spirituality, career, our general life direction, or in the areas of emotional and physical healing. We may feel pulled in two directions between what we wish to achieve on a personal level and what we feel we are more capable of achieving on a much higher level. Lastly is our opposition between Mercury and Neptune, where inspired thinking, mental fantasy, imaginative ideas and lucid dreams are likely to occur. Wednesday is when our Virgo New Moon begins, in the early hours of the morning. This New Moon is a great time for celebrating the harvest and giving thanks for all of the blessings in our lives. It’s also the time to start getting ourselves organized for the changing season. Our Virgo New Moon is a brief one however, with the Moon going Void of Course in the early morning and then moving into Libra for the remainder of the New Moon cycle. Thursday is a quiet one in the skies, but we still have that balancing New Moon energy that can help us get things in order and balance out the areas of our lives that feel out of whack. 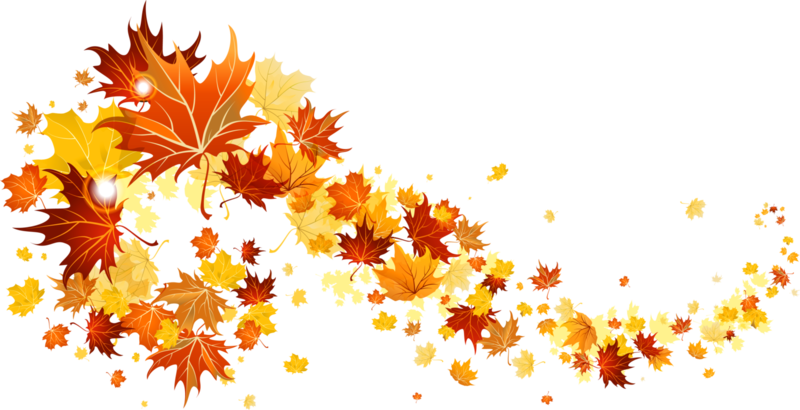 Friday is the Autumn Equinox/Mabon and we have a mid-afternoon Void of Course Moon, which will then move into Scorpio in the early evening. With the Moon in Scorpio at the equinox, we are provided with a hint of any emotional shifts and releases that are ahead for us. The Sun also enters Libra today, so Happy Solar Return to all of you Libra folk out there! Libra symbolizes relationships with others as mirrors of ourselves. Meeting others halfway, compromise, and negotiation come under the rule of Libra. The focus is now on balance–finding balance and harmony through relationships with others and through art. Libra is the sign of the peacemaker. However, life is not always peaceful with Libra in its attempt to restore balance. Decision-making can be more challenging while the Sun is in Libra. We also have a positive trine between Mercury and Pluto today, which lets us know how to get to the heart of things. It’s a great time for mental activities which involve research, concentration and investigation. Saturday is another quiet one in the skies for us, but with the Moon still in Scorpio, its a good day for spending time with the people we feel we can share with on a deeper level. Sunday starts with a morning Void of Course Moon, which will be with us until Monday. We also have an opposition between Mars and Neptune, a transit that can help us to figure out and work with our hidden motives and blind spots that tend to trip us up. You may notice the effects of this transit for up to a week before and a week after the initial date. Here we are given the chance to examine those dreams, hopes, longings and ideals that motivate us. It can be all too tempting to respond to some conflicts or obstacles in a manipulative or passive-aggressive way now, and this can be a result of us not really knowing what direct and effective actions to take just now. It can also be all to easy to use resentment as a means of expressing defiance and anger. Part of the issue here is that we are fighting against our own unconscious idealisms. Deeper feelings can be dredged up from our subconscious by feelings of frustration, disappointment and helplessness, all making it hard to know just how to respond in an effective way in the present. To help empower ourselves at this turbulent time, it can help to be honest with what is really ticking away inside of us. Happy Sunday everyone! I hope you’ve all had a good week and an even better weekend. Today is Grandparent Day, so don’t forget to honour yours, whether they are still with you or have passed on. We have a happy lunar vibe for today to tap into. Later this evening the Moon will be going Void of Course in the US, and after midnight for the UK. So use this quiet time for yourself! Now, let’s see what this week has in store for us! Monday sees the Moon going Void of Course in the wee hours of the morning, and it will remain that way for most of the day and early evening, when it shifts into Gemini. The Moon is the instinctual side of life, so when there’s a lunar Gemini mood, the trickster is afoot. Humour becomes a way of defusing super serious situations. This can also be a period of emotional change: feeling two ways at once without getting too deep into either polarity is possible. Habits are in a cycle of change; variety satisfies a deep inner need. Being on the go and keeping a finger to the winds of change make you feel in touch. We also have Jupiter sextile the North Lunar Node today, which means we need to pay attention to people and opportunities that cross our paths. This can occur from up to two weeks before and two weeks after today. its a good time for communicating our ideas with these energies in play now. Tuesday sees a nice trine between Venus and Saturn taking place. This is a transit whose characteristics are about stability in both relationships and finances. You may find that you have an increased ability to be a bit more disciplined where spending and investing your time is concerned. During this transit, taking care of the necessary, even unpleasant, tasks seems less of a burden. If you are prone to bouts of depression, you may want to be cautious about becoming so stable and grounded that you lose touch with your sense of potential and hope. This is a good transit for making concrete progress in matters that involve love, balance, beauty and harmony. Something else interesting going on in the skies is that Mercury will be reaching its greatest elongation from the Sun today, which means its farthest away from Sun as the Morning Star. This is something that happens after Mercury has gone direct and just a few days before it leaves its retrograde shadow. So, what does this mean for us? Our awareness, thoughts and decision making will feel a lot clearer, and our path ahead may be easier to see now. This is a good time for reflecting on the awareness and information that we gathered over the last couple of months, and start finalizing our plans on how we best want to act on them. If Mercury retrograde had you feeling frustrated and confused, things will begin to make more sense now. Wednesday brings us a challenging square between the Sun and Saturn. The Sun’s transits to planets in a person’s natal chart represents brief influences that usually last around a day. So today we have the Sun making a square with Saturn which will highlight those areas where we need to accept our own limitations, boundaries, and expectations. We may find ourselves faced with the consequences of avoiding some task or obligation, or at least receive a warning of what could happen should we continue to avoid them. Another possibility could be having to accept a situation that means accepting responsibility that we don’t want, or that restricts our freedom in some way. This is the kind of day/transit that usually has a very important lesson for us to learn about ourselves. Later this evening the Moon will be Void of Course for a couple of hours before we feel the restlessness of the Gemini Moon give way to an instinctive need for peace and quiet a couple of hours later. Under Cancer’s influence people become more sensitive and go deeper into their inner world, which takes on more importance at this time than the outer world. Thursday brings us a conjunction between Venus and the North Lunar Node, where our love, beauty and joy are especially visible to others right now. We tend to feel at our most attractive in both body and personality. so don’t be surprised if you suddenly seem to be a magnet for what you desire today – just be careful what you ask for, since you might get it! At worst, or if other stressful transits are also in effect, you might also have a tendency to fall into over-indulgence, empty glamour or compulsive craving. So be careful with this energy. Friday brings a sextile between Venus and Jupiter, where we get an abundance of creative inspiration, material enjoyment and some feel-good pleasure in the air. We seem to have luck and find opportunities for attracting love, money and resources. Our self-esteem is heightened as well during this time. We need to keep in mind that, no matter how easy it seems to attract opportunities, people and possessions, we still have to work to get them. One of the down sides of this transit is that we can be a bit greedy, taking more than we actually need. We also have a parallel between Mercury/Mars/Uranus happening now. Mars and Mercury are now closely parallel in what is referred to as a “declination”. I’ll write more about this during the week. Between the 15th and 16th these two cross paths with Uranus, which boosts this already powerful parallel. What we get here is a mix of spontaneous, chaotic and uncontrolled energy and it amplifies the effects of quick thinking, courageous (or impulsive) speech, and impatience (especially if you’re trying to explain something that the other person isn’t “getting”). My advice, pick your battles wisely during this time. Saturday sees the Moon moving into Leo in the wee hours of the morning. This is an open-hearted energy, flirty, cheerful and good for socializing. We also get some sparky inspiration in the air with a Leo Moon, and we may encourage each other to shine more brightly. Go ahead and hold the stage. Tell a story and make it dramatic. Make some children laugh by being a clown. Tap into your inner thespian, and make all the world your stage! We also have Mercury conjunct Mars today, which makes it a time of quick wit and strong mental impulses. We seem to be especially enthusiastic and productive under this influence so this is a time when plans are put into action. Sunday brings us a trine between Venus and Uranus, a transit where liberation and spontaneity flood into our relationships, resources, finances, and those little pleasure we so enjoy! We feel more at ease in the company of others and an old friend may be there to give you a boost, or to try something new. We tend to have a taste for the unusual as well, and may find ourselves trying things (food, people, activities) that we would have overlooked in ordinary circumstances. One thing we do need to be careful of however, is the we could spend impulsively beyond our budget, or become reckless in our relationships and social interactions. The key is to allow ourselves to break free from what is holding us back without breaking down the order and structure that we need in our lives. Happy Sunday All! It’s the first full week of September. Some of us may have been feeling restless and waking early this morning. Its because Mercury has been mentally over-active and linked with action oriented Mars. Today would make a good one for being active in some way, especially doing things that make us feel productive. Now, let’s see what this week has in store for us! Monday is Labor Day in the USA and we will still be under the friendly and social energies of Aquarius. We need to keep in mind that the tone will change later in the afternoon, where we won’t want to be getting caught up in socializing as much, or dealing with traffic, so it may be good to wrap things up early on Monday, or plan to be home to relax. Tuesday begins with an early morning Void of Course Moon that will then move into Pisces less than a half an hour after. A Pisces Moon can bring about feelings of romance, heightened intuition, mystical and dreamy moods, and an interest in the unknown, religion and all that is magical. We tend to become softer, sentimental and more tender, speaking words of kindness and complimenting those we love. We also tend to have this deeper understanding of the hidden meaning of life, events and things, as well as more intimate perception of beauty, art, poetry and music. We have Mars moving into Virgo today as well, where it finds it has to buckle down and take care of business in practical Virgo. It’s a time for mastering techniques, improving skills and acting with precision. There is a tendency to nitpick however and that can be irritating to some. Mercury will be turning direct today in Leo, so for up to a week before and after today, you may experience mental intensity, confusion, and miscommunication or changes in your outlook. Lastly, we have an opposition going on between the Sun and Neptune, which can affect us in a number of ways. Some may feel inspired creatively or have encounters with life’s great mysteries that feel almost magical. It can also cause us to feel mentally muddled at times too, create feelings of depression or lethargy. Use this time to express your feelings, perceptions and experiences in creative, artistic, poetic and non rational ways. Wednesday is our Pisces full Moon, which is also aligned with Neptune now, creating a dreamy or fantasy loving vibe to our emotions. This Full Moon brings a sensitive Pisces energy that is in opposition to the Sun in practical Virgo right now. And this can have us struggling between the heart and head. It can have us feeling overwhelmed by our own insecurities, our obligations, and our faith in ourselves when we feel our workload is a bit too much. A lot of this is down to us creating ridiculously high standards for ourselves. But this Full Moon also brings a chance for some spiritual breakthroughs and creative inspiration that will help overcome obstacles. The Moon will go Void of Course in the later evening. Friday is a quiet one in the skies but Saturday sees a shift towards the afternoon. The Moon will go Void of Course in the mid-afternoon and then move into earthy Taurus in the early evening. People tend to become calmer and peaceful. We feel secure and stable. There is also this tendency for our thoughts and reactions to slow down, making us feel a bit slow in getting ourselves going. This is the best time for taking care of the home, running errands, restocking supplies and tending to routine maintenance. Its best to hold off on important business now,as well as signing of contracts or important papers, because we may make mistakes due to a slowed down reaction and thinking process. When the communications planet, Mercury enters the analytical sign of Virgo, precision in speech, thought, and process becomes important to us. This is a time when we analyse and decide what is useful and what we deem to be impractical. Mercury feels right at home in Virgo, one of the signs that it rules. Dealing with details is natural and easy now. But we can also become too nit-picky as well. So we need to be careful that we don’t lose perspective if we find ourselves lost in details. We should also be aware of the possibility of expressing ourselves in a too factual manner, so much so that we come across as dry, critical, or unimaginative. As we move into Sunday morning we have a trine between the Sun and Pluto, which will be really helpful in letting us clear out our clutter and make room for the new. Whether you’re clearing out your closet or flushing out your brain, this transit is the time for getting rid of whatever has become unnecessary or outworn in our lives. And this can be anything from an unhealthy relationship to old and outworn beliefs that are holding you back. Or you just may need to chuck the rubbish out of your work space. We get to see what’s below the surface in order to see things very clearly so don’t be surprised if you discover, or re-discover, something lost, hidden, or forgotten during this process either. Happy September everyone! We are just weeks away from the official start of autumn. We return to school, university and work after out summer holidays and get ready for the days becoming shorter and the nights longer. We also celebrate the harvest festival of Mabon, which is all about harvesting all that we have planted and nurtured through the year so far, and getting ready for the darker days of winter. My special Mabon/Autumn Equinox tarot reading is on offer in the Monthly Specials section this month along with a few other inspirational readings to help bring balance into your life, such as the Spiritual Journey and the Fool’s Journey readings for those who are looking to start off in a new direction. So be sure to stop by and have a look at this month’s Specials! You can have a browse through the many specialized readings I offer on the Tarot Readingspage. Tarot’s Life Path & Personal Growth section is a good place to start! Or take a wander through the various Oracle readings on my site, like Rune, Angel, Faery and Animal Totem readings. All of these categories can be found on the main Reading Room page. Don’t forget to check out the other areas on the Readings page, like the Oracles, Rune and Animal Medicine Cards sections. Congratulations to you both! I’ll be sending you two an email to tell you how to claim your prize shortly! For those who haven’t entered the raffle yet, each month I select 2 random people from entries submitted to win a reading of your choice worth up to £15.00 from any area of my site. For more details, and to enter September’s raffle, stop by and visit the Raffle Entry page! Good luck!